6. Brukner PD:“The Tired Tennis Player” in Tennis: Sports Medicine and Science. Eds. H. Krahl, H.G. Pieper. W.B. Kibler, P.A. Renstrom; Walter Rau Verlag, Dusseldorf, 1995. 7. Brukner PD: “Endocrinological Problems” in Medical Problems of Exercise. Eds P.A. Fricker, B. Fields; Churchill Livingstone, 1997. 9. Brukner PD & K Crichton: “Rugby Injuries” in The Spiral Manual of Sports Medicine. Eds M. Safran, S. Van Camp and D. McKeag; Little, Brown and Company, 1998. 10. Matheson G.O., Ford P., Brukner P., Brock R. and Norris R.: "Preparation for Emergencies in Sport in The Spiral Manual of Sports Medicine. Eds M. Safran, S. Van Camp and D. McKeag; Little, Brown and Company, 1998. Brukner PD. Sports medicine in Australia. Medical Journal of Australia 158: 511–512, 1993. Parker S, Brukner PD, Rosier M. Chronic fatigue syndrome and the athlete. Sports Medicine, Training and Rehabilitation 6(4): 269 – 278, 1996. Baquie P, Brukner PD. Injuries presenting to an Australian sports medicine clinic. A 12 month study. Clinical Journal of Sport Medicine 7:28-31 1997. Bradshaw C, McCrory P, Bell S, Brukner PD. Obturator nerve entrapment. A cause of groin pain in athletes. American Journal of Sports Medicine 25(3): 402-408, 1997. Jowett A, Brukner PD. Stress fracture of the fifth metacarpal in a female softball pitcher. Clinical Journal of Sport Medicine 7:220-221, 1997. Brukner PD, Bennell KL. 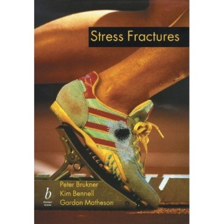 Stress fractures in female athletes. Sports Medicine 24 (6): 419-429, 1997. Holzer K, Brukner PD, Douglass J. Evidence-based management of exercise-induced asthma. Current Sports Medicine Reports 1:86-92, 2002. Dickinson JW, Drust B, Whyte G, Brukner P (2014) Screening English Premier League Football Players for Exercise Induced Bronchoconstriction. In: Numone, Hiroyuki and Drust, Barry and Dawson, Brian, eds. Science and Football VII: The Proceedings of the Seventh World Congress on Science and Football. Routledge, London. ISBN 9781138837720. Olivier B, Stewart A, Taljaard T, Burger E, Brukner P, Orchard J, Gray J, Botha N, Mckinon W. Extrinsic and intrinsic factors associated with non-contact injury in adult pace bowlers: a systematic review protocol. JBI Database System Rev Implement Rep. 2015 Feb 13;13(1):3-13. Brukner P, Connell D. "Serious thigh muscle strains”: beware the intramuscular tendon which plays an important role in difficult hamstring and quadriceps muscle strains. British Journal of Sports Medicine 2016;50(4):205-8. Brukner P, Gara TJ, Fortington LV. Traumatic cricket-related fatalities in Australia: a historical review of media reports. Medical Journal of Australia 2018;208(6):261-264.